Today’s society is (thankfully) focusing on clean and organic living, with ‘vegan’ now becoming the buzz word in all areas of life. When it comes to makeup and skincare, the sales of vegan beauty products continue to soar, demonstrating this is no fad; it is a serious lifestyle choice that is here to stay. Often, vegan cosmetics can carry a hefty price tag so we were extremely pleased to discover that W7 Cosmetics has launched a fabulous and cost-effective Vegan range ‘Very Vegan’, certified by The Vegan Society. Given that Colour Me Buff has been their most popular selling palette, W7 Cosmetics had the CMB colourway changed to provide a vegan alternative, the Eye Eco. 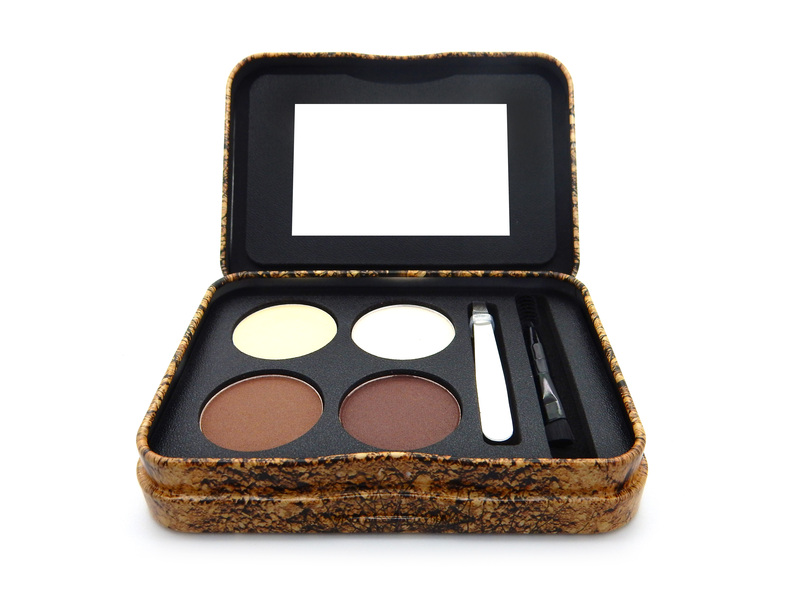 The Eye Eco eye shadow palette consists of 12 powdered eye shadow shades. These gorgeous colours range from natural nudes to coppers and browns, providing an array of subtle and very wearable looks that can take you from day to evening. These beautiful shades are blendable and their highly pigmented formula means great coverage with minimal fallout. Better yet, unlike many other eyeshadows, you will find they are not prone to creasing. #Beautygoals! These shades can be applied with or without primer and they will still offer a long-lasting result. Whether you want to comb, fill in those gaps or pluck away, this Very Vegan Eyebrow Grooming Kit will meet your every eyebrow need. Comprised within one super-handy tin are tweezers, a double-ended brush and applicator, two shades of brow powder, highlighter and wax to secure. The kit is small enough to fit in your bag, so your brows can look nothing less than perfect wherever you may be (within reason). Should you constantly need to address your brows, this true life saving product is a must-have!